There are many people who are opting for low carbohydrate diet to lose weight. However, before you change your diet plan it is important that you understand the advantages and disadvantages of low carb diet. 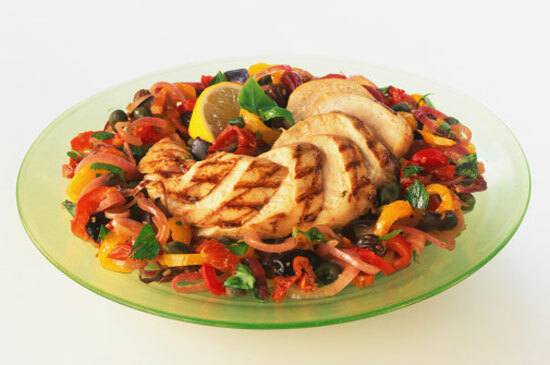 Today, there are several types of low carb diet like Atkins, South Beach or Zone diet that you can choose from. Most people who want to lose weight opt for low carb diet. This type of diet not only helps you lose weight but also helps in controlling cholesterol, blood pressure and blood sugar. Many experts recommend low carb diet because it reduces the consumption of carbohydrates. When the consumption of carbohydrates is reduced, the body starts using the fat stored in the body for supply of energy. This depletes the fat level in the body and helps in weight loss. The carbohydrates you take will depend on the diet you choose. For example, if you choose Atkins diet, the amount of carbohydrates that you take will be severely restricted. However, if you opt for South Beach or Zone diet, the carbohydrate intake is less restrictive when compared to Atkins Diet. So it is important that you select a diet plan that suits the requirements of your body. You can consult a nutritionist if you are unable to decide which diet plan is best for you. Some experts are of the view that low carb diet only offers short-term benefits. They are of the view that weight loss after a few weeks on the diet is because of low calorie intake and not because of reduction of carbohydrate intake. These experts of are of the opinion that low carb diet does not help in the long run even if you continue with this diet plan. Most people opt for low carb diet because it helps them lose weight quickly. Experts who advocate low carb diet plan believe that contemporary diet is extremely unnatural and it is important that people eat less carbohydrates and less meat. These experts are of the view that modern diet is the main cause of problems like obesity, high blood pressure and diabetes. Another benefit of opting for low carb diet is that certain foods like streak and bacon that are forbidden in other diet plans are allowed in this diet plan. One of the main reasons why some experts avoid recommending low carb diet is because it increases the risk of heart problems. Since most low carb diet plans reduce your carbohydrate intake and increase your intake of animal protein, the bad cholesterol or LDL in the blood increases. Also, increasing your intake of products like red meat can increase the iron and homocysteine levels in the body. Both iron and homocysteine can increase the risk of developing heart disease. Should you opt for Low Carb Diet? Since this diet has several advantages and disadvantages, it is best that you consult a nutritionist before you opt for this diet plan.